The League of Women Voters of Needham is participating in the LWVMA study of the ballot question process in Massachusetts. A study committee will research the processes involved in citizen-initiated statewide ballot questions, including how an initiative gets to the ballot, voter information, the process in other states, and ballot question campaign financing. 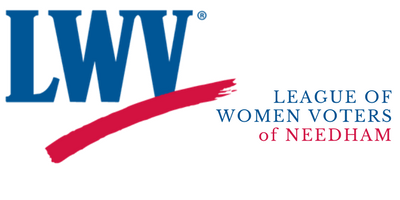 On January 24 League members will gather to address consensus questions proposed by the LWVMA. Leagues across the state are considering the same questions, which will contribute to a statewide position to guide future advocacy efforts. See the LWVMA study webpage for materials and other information.